Based in Leicestershire, Annabel travels to the areas of Hinckley, Leicester, Loughborough and Melton Mowbray visiting clients at home. She specialises in housing & equipment and moving & handling, treating both adults and children. She has completed postgraduate training in moving and handling, ramp assessments and seating. Annabel has gained experience across the NHS, social care and charity settings, including acting as assistant manager of a therapy centre in Romania. She has experience working with clients with neurological conditions, learning difficulties and physical disabilities, currently offering treatment and support in a hospice to clients with life limiting conditions. Annabel carries out independent assessment, recommending appropriate housing adaptations, specialist equipment to aid independence and moving and handling advice. She encourages carers and the client's family to work collaboratively, supporting her client to live as independently as possible in their home environment. Annabel also helps adolescents with the transition to independent living, working with people with mental health diagnoses. Annabel is currently involved in a pilot project called 'Double to Single handed care',reviewing care packages where there is potential for reducing the the care and advising on alternative moving and handling equipment and techniques to carers and clients. Qualifying as an occupational therapist in 2006, Louise has specialised in treating clients with housing & equipment, rehabilitation and seating & postural needs. She is based in Derbyshire and travels to Derby, Ashbourne, Chesterfield and Long Eaton to visit clients and deliver assessments at home. Louise is committed in supporting her client reach their personal goals and increase their independence, allowing for them to take part in their every day activities and live safely at home. Since qualifying in 2006, Louise has gained wide-ranging experience in both community and hospital settings and in both mental and physical health. She has a thorough understanding of the effects of pain, illness and disability on the quality of life. She has spent her career working in community and hospital settings, treating clients with neurological conditions, orthopaedic conditions and those requiring help with fatigue and anxiety management. Her knowledge of neurology is extensive, including having worked with brain injury, stroke rehabilitation and chronic fatigue syndrome. Before leaving the NHS in 2016 to focus solely on her private practice and medico-legal work, Louise was the lead occupational therapist for elderly medicine therapy in Derby Hospitals. Additionally, she acted as a Key Manual Handling Trainer, the Dementia Lead and the Falls Lead. Louise now undertakes work on private basis for clients who have suffered catastrophic personal injuries as a result of road traffic accidents, medical negligence or accidents in the workplace. She provides recommendations for major adaptations, equipment assessments, work place assessments and ongoing rehabilitation packages to maximise client’s return to independence and inclusion in pre-injury activities. Alongside her private practice she also works as an expert witness preparing care and equipment reports for personal injury or medical negligence cases. Louise continues her professional development by attending conferences and training events, including being a member of the College of Occupational Therapists Specialist Sections in Independent Practice. 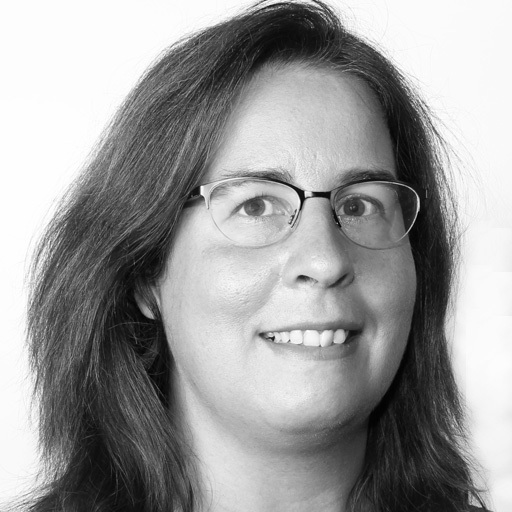 Trained in sensory integration, Susan provides expert occupational therapy to children and young people. She works closely with families, teachers and carers focusing on the child's housing, equipment and seating needs, as well as ensuring safe moving & handling within the home and school. 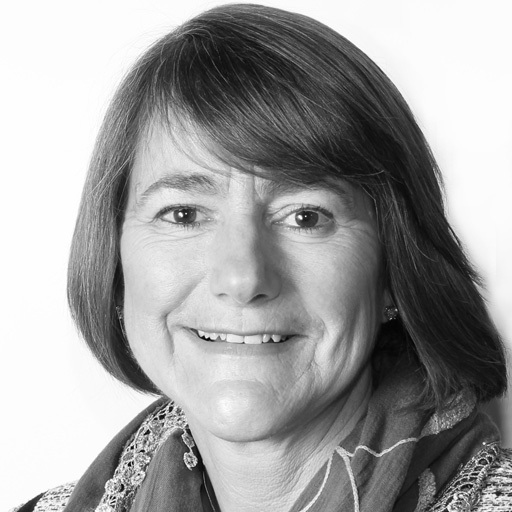 Susan works within the area of Nottinghamshire, visiting families in Mansfield, Nottingham, Retford and Southwell. Having spent her career in both public and private sectors, Susan has gained vast experience working with children with neurological, physical and sensory needs. This includes treating children with autism, cerebral palsy and brain injury, as well as focusing on handwriting needs and balance or co-ordination difficulties. Visiting children and families in their own home, Susan provides expert assessment and treatment sessions which aim to encourage the child to reach their maximum potential. She recommends pieces of specialist equipment, as well as providing sensory based therapy and advising parents on sensory strategies to support the child's needs. Susan also prescribes wheelchairs and seating solutions, including power chairs, specialist buggies and trikes. Susan is a member of the Sensory Integration Network, as well as the Children, Young People & Families section of the College of OT. Based in Nottingham, Helen visits clients in the areas of Mansfield, Derby, Retford and Southwell. 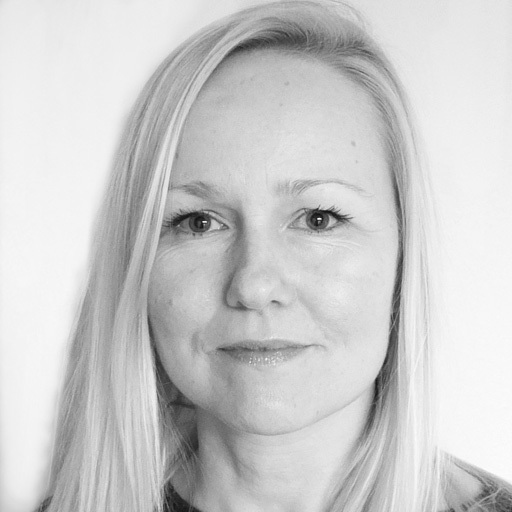 She specialises in hand therapy and rehabilitation, delivering specialist assessments and treatment at home. To enhance her learning, Helen has completed post graduate training in hand therapy and related conditions. In Helen's current NHS role, she treats adults with hand, wrist and upper limb conditions and is the organisation's lead therapist for splinting. Her experience covers chronic and acute wrist and hand conditions, including scar management and desensitisation programmes. 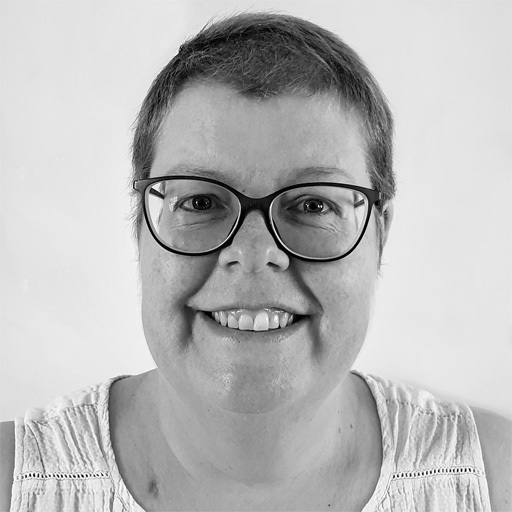 Helen provides independent assessments and treatment programmes to clients in their own environment and is committed to maintaining her clients' independence at home. She will set achievable and realistic goals, with an aim to improve on their functional rehabilitation and carrying out daily tasks. She is a member of the British Association of Hand Therapists (BAHT) and has BAHT Level 1 and Level 2 qualifications. She also completed the Derby University Masters module on Hand Therapy in Practice. Qualifying in 2007, Rachel provides specialist hand therapy to adults and children. She is based in Leicestershire, travelling to Leicester, Hinckley, and Loughborough visiting clients and their families at home, as well as providing care further afield in Northamptonshire and Warwickshire. 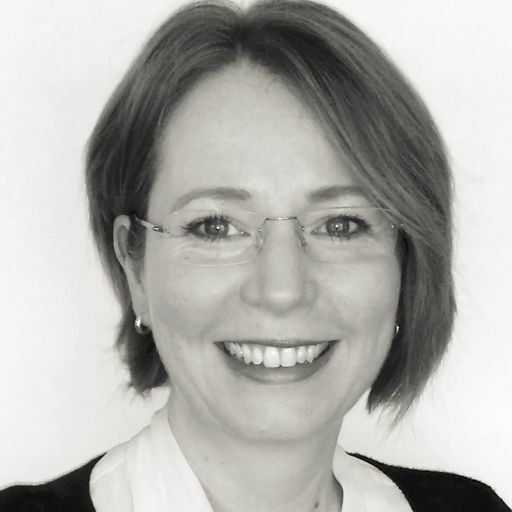 To build on her clinical knowledge, Rachel has completed various postgraduate qualifications, including British Association of Hand Therapists accredited courses in wrist conditions and management of rheumatoid arthritis. 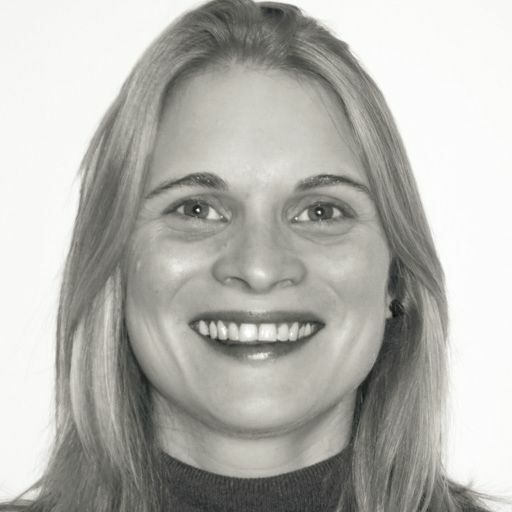 Rachel's expertise focuses on the management of acute and chronic conditions affecting the upper limb, having worked in various clinical settings including trauma & orthopaedics, plastic surgery and rheumatology. She assesses and treats clients with a range of conditions, including fractures, dislocations, nerve injuries and repairs and amputations. Providing a variety of intervention techniques, Rachel ensures the needs of the individual are met and ultimately that they restore function. Treatment can include scar management and skin grafts, exercise provision, desensitisation and sensory re-education, as well as thermoplastic splinting in which Rachel has completed further training. 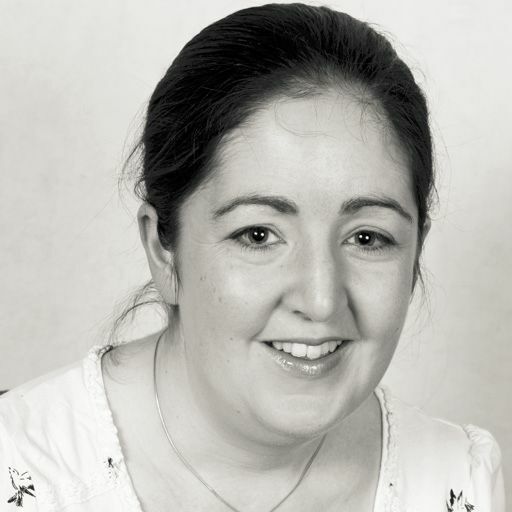 Rachel is a member of the British Association of Hand Therapists and continues her clinical development by attending seminars and training courses. Based in Buckinghamshire, Georgina delivers assessments to clients at home, travelling to Aylesbury, Amersham, Buckingham, High Wycombe and Milton Keynes. She has experience working in the areas of housing & equipment, moving & handling and rehabilitation. She is member of the College of Occupational Therapists Specialist Sections in Housing and Independent Practice. Qualifying in 2009, Georgina has gained experienced working in the community, for local authorities and also in private practice. Her areas of expertise focus on housing & equipment, including assessing housing needs, adaptations, new builds, refurbishment programmes and specialist equipment. 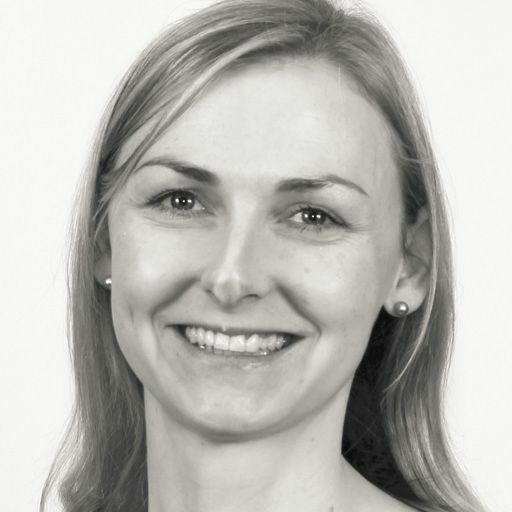 Additionally, Georgina has experience working with acquired brain injury cases, ensuring that long term effects on everyday living needs are managed through rehabilitation. Georgina works closely with her client and the family to offer advice, guidance and expertise to ensure that the assessment and recommended intervention always meet a client's functional needs. Her goals are always to enable the client to be as independent as possible within his or her own home and social environment. Based in Warwickshire, Paula delivers specialist assessments to clients at home, travelling to Coventry, Birmingham, Solihull, Warwick and Stratford-on-Avon. 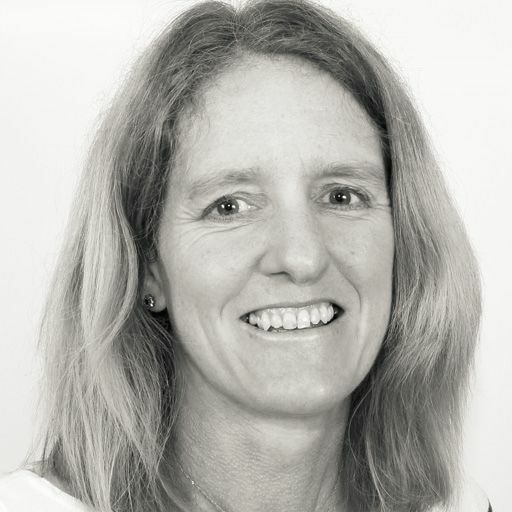 Qualifying as an occupational therapist in 2000, Paula specialises in both neurological and functional rehabilitation, as well as vocational rehabilitation with adult clients. Paula has experience of working in acute hospitals, community hospitals, specialist neuro-rehabilitation centres, as well as being part of a community neuro-rehab team. She works with clients with various conditions, including traumatic and acquired brain injury, stroke, visual impairment, as well as fatigue management. She has a particular interest in working with clients who experience cognitive or behavioural difficulties due to brain injury. Specialising in vocational rehabilitation, Paula helps clients by getting them back into work after sustaining traumatic brain injury or orthopaedic injuries. Visiting her client at home or in work, Paula provides detailed assessments and treatment programmes, with an aim to help her client reach realistic and achievable goals. 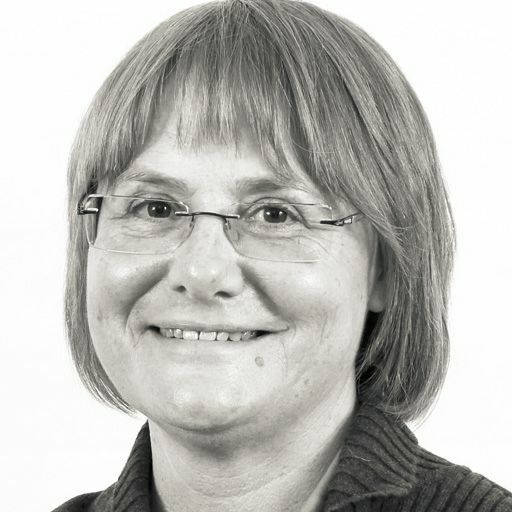 Paula is a member of the British Association of Occupational Therapists, as well as The College of Occupational Therapists specialist sections in Independent Practice, Work and Neurological Practice. Having worked with clients in various health care settings, Anne has gained experience in the areas of rehabilitation and housing & equipment. She works with adult clients in their homes, travelling to areas of Warwickshire and the West Midlands, including Coventry, Birmingham, Solihull and Warwick. Anne is skilled in carrying out Blue Badge and mobility assessments, as well as gaining a Train the Trainer qualification. 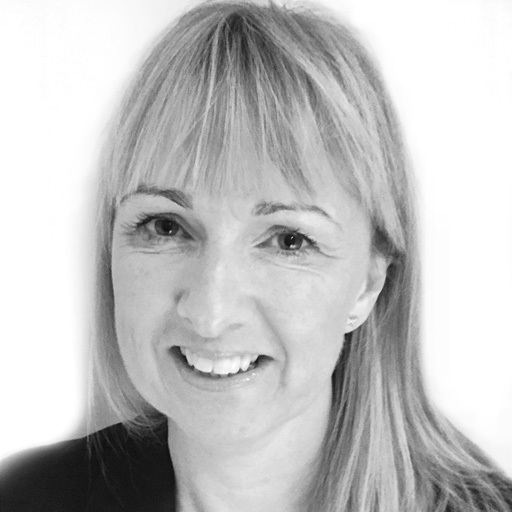 Since qualifying in 1989, Anne has worked in various clinical settings, treating clients with neurological, orthopaedic and physical conditions. 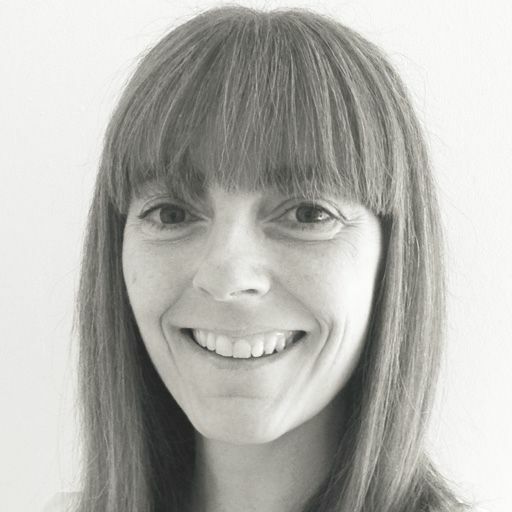 Currently working as an independent practitioner, she delivers assessments in the home and works closely with her client and their family to create a bespoke treatment plan, aiming to improve their function and quality of life. Within the treatment plan, Anne recommends assistive equipment and housing adaptations to maximise a persons independence within their home and community. She provides assistance and guidance on the most appropriate seating solutions, including wheelchairs and mobility scooters. Where appropriate, Anne undertakes workplace assessments and will put together a return to work programme for her client, helping them gain skills and make their workplace more accessible. Anne continues her professional development to enhance her clinical skills, including her membership of the College of Occupational Therapists Specialist Sections in Independent Practice and Work. 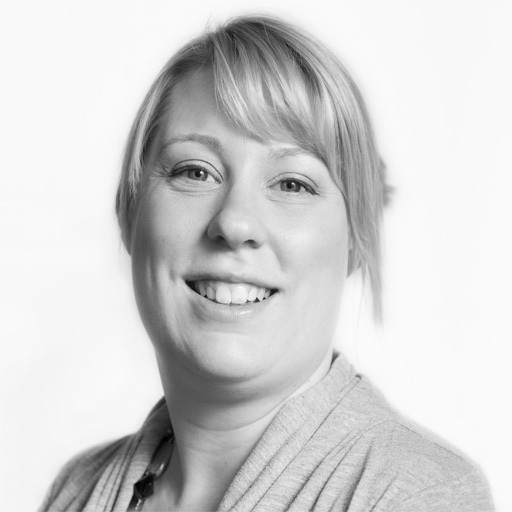 Working in Birmingham and the surrounding areas, Louise is a highly competent and skilled occupational therapist with over ten years of experience of working in posture management, wheelchair services, accident and emergency, acute hospital and community settings. She has specialist knowledge in seating, wheelchair and power chair provision, 24 hour postural care, moving and handling, aids to daily living and minor adaptations. She also has a vast product knowledge of power chairs, active user chairs, pressure cushions, special seating, paediatric wheelchairs and buggies, wheelchair accessories, sleep systems and static seating. She is a self-motivated individual dedicated to providing high quality assessment and intervention to help clients reach their potential. Passionate about the profession of occupational therapy and committed to provide high standards of care. She is HCPC registered and a member if the BAOT. Laura provides occupational therapy to clients at home, travelling to areas of Oxfordshire and Hertfordshire, as well as Milton Keynes and London. 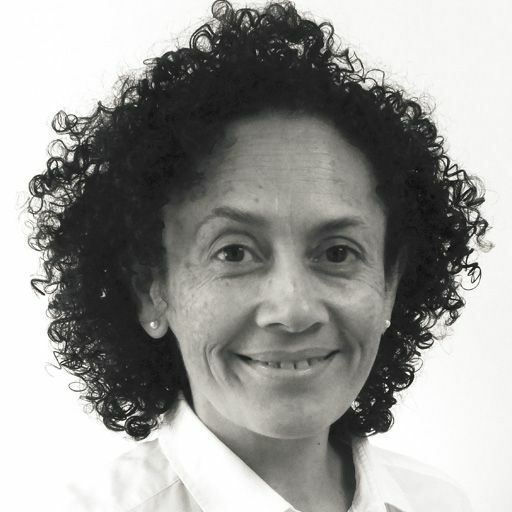 She specialises in rehabilitation, assessing client's neurological, functional and vocational rehabilitation needs. Her expertise also focuses on seating & postural management, in which she has completed postgraduate training. Qualifying in 2004, Laura has since specialised in neurological rehabilitation, working in acute, community and inpatient rehabilitation settings. 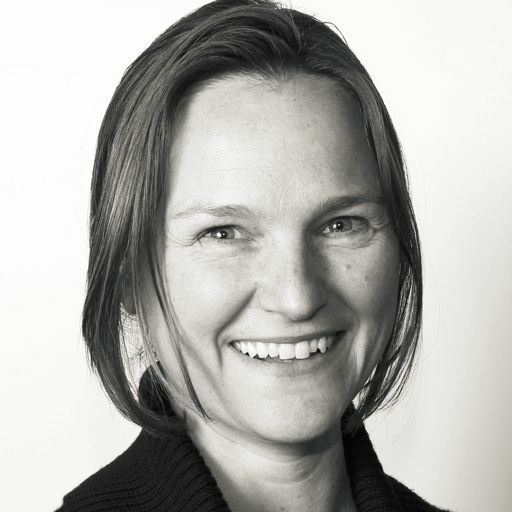 She assesses motor, sensory and cognitive function and evaluates the impact of these on activities of daily living, through standardised and non - standardised assessments. From this, Laura formulates client centred treatment plans and evaluates progress through goal setting and outcome measures. Laura supports clients and their families in their rehabilitation and any adjustments they may have needed to make due to their condition or disability. She offers advice on specialist equipment and safer moving and handling, as well as exploring the later stages of rehabilitation such as returning to education, employment and leisure roles. This includes the provision of specialist seating and wheelchairs to maximise the functional independence of her clients. 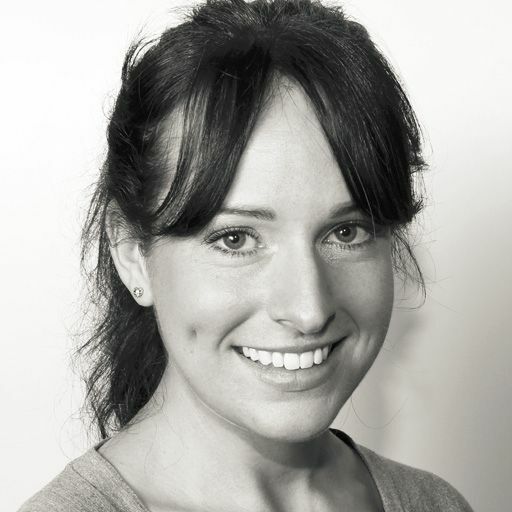 Laura has completed extensive post graduate training in upper limb interventions, offering mirror box therapy, motor imagery and splinting to clients. Qualifying as an occupational therapist in 1993, Val specialises in housing & equipment and rehabilaition for adults. She is based in Cornwall and will travel across the UK, completing assessments with clients in their own environment. Val is an accredited Best Interests Assessor (BIA), having developed sound knowledge of the legislation to support clients, families and Local Authorities. Val's experience is in working with adults with a variety of physical and mental health needs, providing equipment and adaptations to homes to promote independence and safe living conditions. This includes completing BIA assessments, where Val requires knowledge of both the Mental Health Act and the Deprivation of Liberty Safeguards assessments and applications. She also carries out Disabled Facilities Grants (DFG) assessments. To continue her professional development, Val has completed postgraduate training including courses in counselling and therapeutic listening. She also keeps up to date with the current legislation and policies surrounding her work. Based in Cambridgeshire, Lucy provides independent occupational therapy assessments to clients in the areas of Cambridge, Huntingdon, Peterborough and St. Ives, as well as visiting Norfolk and Suffolk. She specialises in rehabilitation, seating & postural management and equipment, treating adults with those particular needs. Currently working as professional lead occupational therapist within the NHS, Lucy works with clients with physical, learning and mental health needs. She provides assessments and intervention to clients to maximise their current skills, develop new skills and build on new coping strategies to support them in their everyday life. Lucy uses the Assessment of Motor Process skills (AMPS) to guide her interventions. Visiting clients at home, Lucy provides intervention that is based on the client's functional goals. This includes providing expert advice on specialist equipment and seating that would increase the client's independence in their own environment. Lucy is also able to deliver accredited postural care training to families and carers. 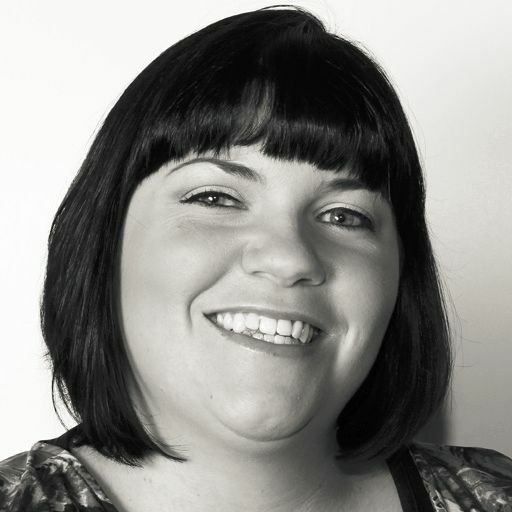 Aimee is an expert occupational therapist (OT) who specialises in housing & equipment. Her post qualifying training includes a Professional Health & Social Care Diploma in Housing, broadening her knowledge of this clinical area. Working within West Yorkshire, Aimee travels to Wakefield, Leeds, Huddersfield and Pontefract to visit clients. Aimee has extensive experience in the field of housing & equipment, spending most of her career working for the NHS and within social services. Within these roles, Aimee carries out assessments for minor and major housing adaptations, provides specialist equipment and produces moving & handling plans for clients and their carers. She also has experience in completing Disabled Facilities Grants (DFG) assessments. As an independent OT, Aimee treats clients at home and helps enable them to be as independent as possible within their home environment. To deliver the highest standards of care to her client, Aimee maintains active professional development through her membership of The College of Occupational Therapists Specialist Sections in Housing and also the Housing Association Forum for Occupational Therapists. Based in West Midlands, Aldin travels in and around Birmingham visiting clients, as well as to London and the surrounding areas. He specialises in housing & equipment, seating & postural management and moving & handling for adults, treating them in their own home. Aldin is fluent in Bosnian, Croatian and Serbian. Working with adults in the community and in acute hospital settings, Aldin delivers functional assessments and interventions to clients with complex physical, learning and mental health needs. He provides a range of specialist assessments, including Disabled Facilities Grants (DFG) applications, Blue Badges and mobility assessments. Carrying out independent assessments with clients at home, Aldin provides expert advice and recommendations on how to improve their functional independence. This includes advice on safe moving and handling, providing specialist equipment and recommending minor and major housing adaptations. 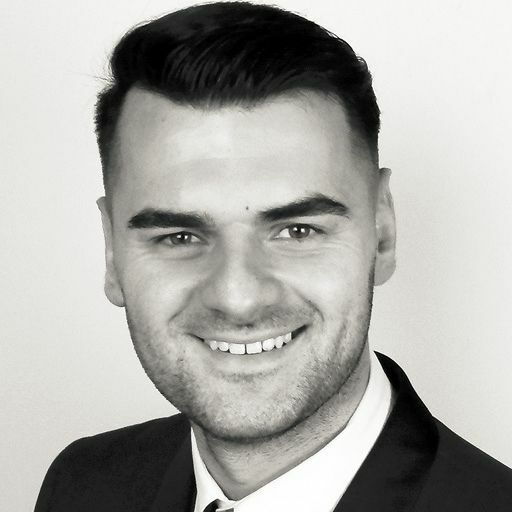 Aldin is continuously developing his specialist knowledge and skills by attending various disability conferences and specialist equipment training in order to promote quality care and well-being. He is a member of both the Postural and Mobility Group and the National Association of Equipment Providers. 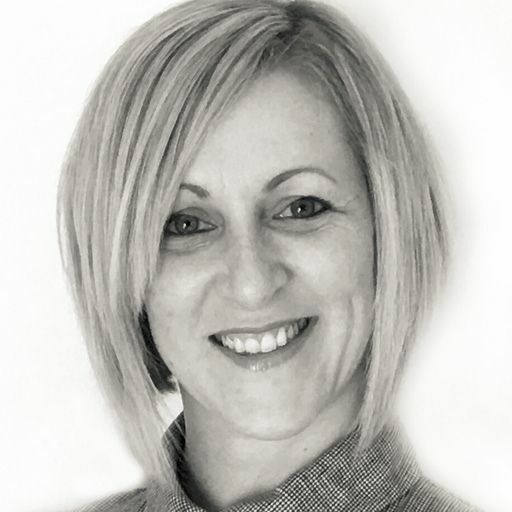 Qualifying in 2002, Debbie is an expert occupational therapist who specialises in neurological rehabilitation. She is based in Leicestershire, travelling to Hinckley, Leicester, Loughborough and Melton Mowbray to deliver independent assessments to clients at home. Having spent her early career working in community NHS teams, Debbie has extensive experience delivering functional assessments and rehabilitation programmes. She now works independently, treating clients who present with neurological conditions, head/brain injury, acute rehabilitation needs and orthopaedic conditions, such as hip and knee replacements, fractures, carpal tunnel syndrome and arthritis. Developing personalised treatment plans with the client and their family, Debbie aims to reach the client's personal goals and increase their independence within their home environment. She maintains her professional development, continuing as a member of the College of Occupational Therapists Specialist Sections in Independent Practice. Ali qualified as an occupational therapist in 1999 and has since specialised in neurological rehabilitation, as well as providing moving & handling and functional rehabilitation support. She works in Yorkshire, Lincolnshire and the East Midlands, visiting clients at home. Ali has completed various postgraduate training courses, including levels 1, 2 and 3 in Bobath techniques. During her career, Ali has worked in a range of clinical areas, including within mental health, acute settings and the community. She currently works in a rehabilitation centre in the NHS, supporting clients with complex neurological conditions, including acquired brain injury. She assesses overall function and provides adaptations and equipment, including falls prevention items, to facilitate independence and manage safe moving & handling within the home. Offering a holistic approach, Ali considers all functional, cognitive psychological and environmental needs of the client. She sets achievable goals with an aim to maximise independence at home and within the local community. The therapy provided by Ali is varied and includes encouraging clients to complete daily life activities, supporting them with dexterity and handwriting skills, providing advice on psychological adjustment and strategies and providing training to carers and families on safe manual handling. Ali holds an MSc in Advanced Occupational Therapy and continues to develops her clinical knowledge, having completed further training in cognitive rehabilitation, motivational interviewing and Brief Solution Focused Therapy. Joanne qualified as an occupational therapist in 2004 and has specialised in seating & postural management and moving & handling. She lives in Warwickshire, travelling to Coventry, Birmingham, Solihull and Warwick visiting clients at home. Joanne has completed various postgraduate training courses to ensure her clinical knowledge is up to date, including a course in palliative care. Joanne has worked in various clinical settings, including acute hospitals, hospices and within the community. Having treated clients with various medical and physical conditions, she has chosen to specialise in oncology and palliative care conditions, ensuring her care is always client-centred. Joanne completes comprehensive assessments of her client's needs, focusing on physical and cognitive function, environmental factors and risks of falls within the home. She also completes detailed seating assessments, providing wheelchairs and seating solutions, as well as advice on pressure prevention and relief. Working holistically, Joanne ensures all of her client's needs are met and delivers a treatment plan that aims to maximise function and safety within the home. The includes symptom management advice and techniques and help with self-care tasks, also offering support with fatigue and anxiety management. Joanne has actively been involved with teaching, specifically on topics on palliative care, non-pharmacological symptom management and communication skills. She is also a member of the College of Occupational Therapists Specialist Sections in HIV, Oncology & Palliative Care (HOPC). Kate qualified as an occupational therapist in 1989 and has since worked in a variety of clinical settings. She specialises in housing & equipment, as well as providing moving & handling support to adult clients. 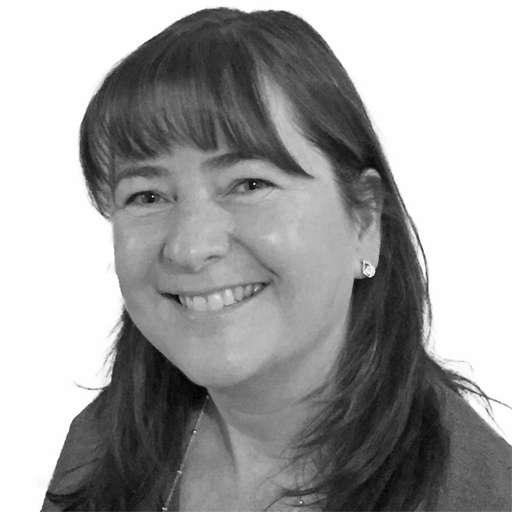 She has built up an excellent understanding and knowledge of housing, adaptations and independent practitioner, Kate visits clients in their own homes, travelling to areas in the Midlands, South and South West of England. Since qualifying, Kate has worked with clients in physical and mental equipment, helping clients in regaining independence and living safely within their home. Kate works with clients with various medical conditions, including arthritis, cardiac conditions, respiratory conditions, diabetes and cancer. Working collaboratively with the client and their family, Kate provides expert advice and support to help her client reach their rehabilitation goals and live a life to its maximum potential. This includes the provision of specialist equipment, recommendations of minor and major adaptations and providing safer moving and handling techniques . She will also provide mobility and Blue Badge assessments where necessary. Kate is a member of the College of Occupational Therapists Specialist Sections in Independent Practice (COTSSIP), ensuring her clinical knowledge is kept up to date. Moira provides expert occupational therapy to adult clients, travelling to homes in the West Midlands and Warwickshire. She specialises in rehabilitation, working with clients with housing & equipment and moving & handling needs. Moira is a member of the College of Occupational Therapists Specialist Sections in Independent Practice (COTSS-IP). Since qualifying from Oxford Brookes University in 1996, Moira has gained a broad clinical knowledge in both inpatient and community settings. Her expertise focuses on working with older adults with long-term conditions, both physical and cognitive disabilities including dementia and palliative care. She works in a person centred manner and considers the needs of the individual, carers, and other family members during a holistic assessment and treatment process. The clinical support Moira provides focuses on promoting wellbeing and independence at home, work and in the local community. The intervention she offers to clients can include falls prevention and management, moving and handling, provision of adaptive equipment and supporting activities of daily living. She also provides postural and seating advice, as well as pressure sore prevention. Moira likes to keep her clinical knowledge up to date, having completed a Masters module in caring for individuals with long term conditions. Lisa qualified as an OT from Derby University in 1993 and has worked in the NHS, within a Local Authority setting and in private practice since qualifying. She has held a number of senior and managerial positions within the local authority setting, being responsible for occupational therapy teams and the delivery of the service. Lisa has chosen to specialise in home functional assessments of adults and children with highly complex physical disabilities. This can be a result of illness or trauma, neurological and congenital conditions, birth injuries and chronic pain. She also collaboratively identifies housing & equipment, moving & handling and seating & postural needs with the client and their family, successfully implementing solutions to enable individuals to participate in day to day activities, engage in purposeful roles and support them to lead an independent life. 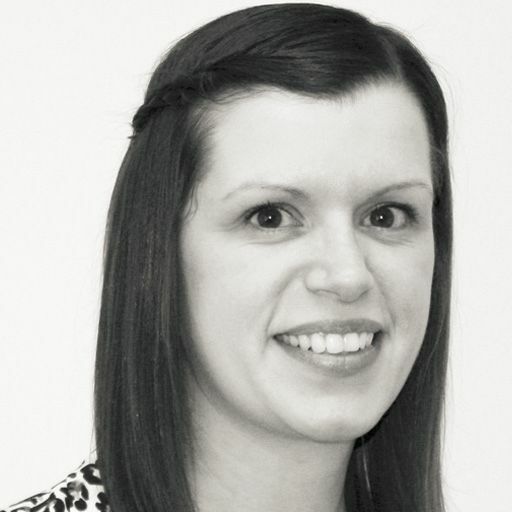 Having qualified in 2008, Emily is an expert occupational Therapist specialising in the areas of vocational, neurological and functional rehabilitation. She has enjoyed a variety of roles which has given her a great breadth of knowledge, she expertly carries out assessments and treatment plans for clients in their own homes and places of work. Emily works with clients with a wide range of conditions and needs, including musculoskeletal conditions, motor neurone disease and fibromyalgia amongst many others. She also provides palliative care as well as working with clients with age related conditions. She creates bespoke treatment plans and sets clear, realistic, measurable goals to help her clients gain maximum independence and enable them to stay in their own home as long as possible. Emily previously worked for the Ministry of Defence in the occupational health team for army personnel, becoming experienced in assessing and managing complex conditions and making recommendations for vocational rehabilitation potential. She is HCPC registered and a member of the BAOT (British Association of Occupational Therapist). The OT Practice provides expert, independent occupational therapy services throughout the East Midlands as well as nationwide. We have experienced private therapists to cover every clinical specialism, servicing the entire region including Derbyshire, Leicestershire, Lincolnshire, Northamptonshire, Nottinghamshire and Rutland. Occupational therapists work to break down the barriers which hold back individuals in carrying out their day to day activities. OTs not only look at the physical effects of ageing, injury or disease, but also address the psycho-social, community and environmental factors that influence functional ability. Our private therapists cover every area of OT, including paediatrics, housing & equipment, seating & postural management, neurological or functional rehabilitation and hand therapy. You can discover more about some of the therapists we have in the region by clicking on their profiles above, or you are welcome to call one of our client managers who will talk through your needs and find the right OT for you. All our client managers are themselves experienced OTs, who will be able to provide a free initial consultation over the phone and follow up with a written quotation for further services if required. If you are enquiring about occupational therapy services for children, please visit the OT Practice Kids section of our site to learn more about our dedicated paediatrics team. Our OT’s are helping people throughout East Midlands deal with a variety of difficulties. If you would like to find out more visit our pages dedicated to explaining how our occupational therapists can help with common difficulties, covering adults and children. The most common difficulties we see are shown below, alternatively just call us on 0330 024 9910 for a free over-the-phone consultation. We help treat the difficulties associated with a wide range of conditions. Visit our conditions pages to find out more. Equipping children struggling with class participation and friendships due to shyness or faltering self-confidence, with the skills & self-belief they need. The therapist was extremely knowledgeable and delivered the training in a fun and engaging way. I have worked with The OT Practice for several years and have found the team to be professional, approachable and helpful right through from the assessment phased up to implementing recommendations. The OT Practice provides an excellent service, assessments and treatment are delivered in a timely and professional manner.